Art 300 focuses on mini-figures influenced by M.U.S.C.L.E. figures. Mr. Louseface was created by Ironhaus Productions, Ironhaus Productions Oz, and Eric Nilla. Art 300 focuses on mini-figures influenced by M.U.S.C.L.E. figures. Odd Narook was created by Ironhaus Productions, Ironhaus Productions Oz, and Eric Nilla. Art 300 focuses on mini-figures influenced by M.U.S.C.L.E. figures. Butcher’s Day Parade was created by Ironhaus Productions, Ironhaus Productions Oz, and Eric Nilla. Art 300 focuses on mini-figures influenced by M.U.S.C.L.E. figures. West Nile was created by Ironhaus Productions, Ironhaus Productions Oz, and Eric Nilla. 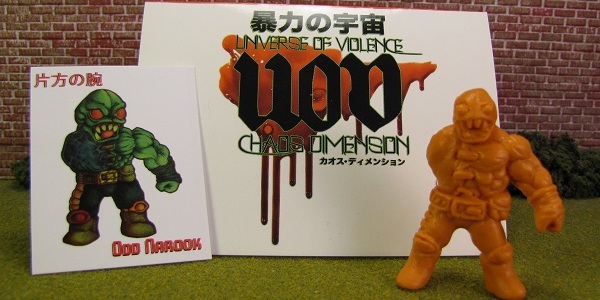 Art 300 focuses on mini-figures influenced by M.U.S.C.L.E. figures. Deadface II figure was created by Ironhaus Productions, Ironhaus Productions Oz, and Eric Nilla. Art 300 focuses on mini-figures influenced by M.U.S.C.L.E. figures. The Hell Chicken figure was created by Ironhaus Productions, Ironhaus Productions Oz, and Eric Nilla. 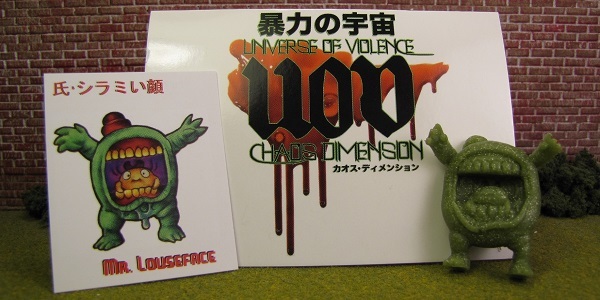 This week is Universe of Violence: Chaos Dimension – Wave 2 week. Each day I will individually review a figure. Just announcing this would be a pretty boring post. 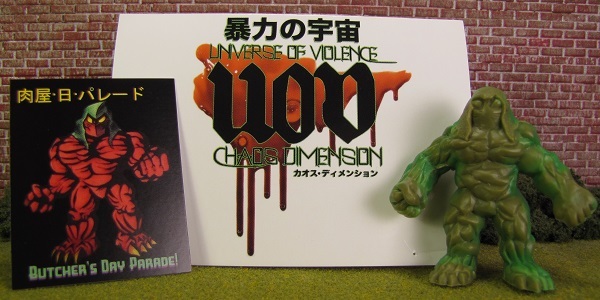 This post also serves as a review of some of the ancillary things that accompanied purchasing the second wave of UOV figures. Art 300 focuses on mini-figures influenced by M.U.S.C.L.E. figures. The Venus Maneater figure was created by Metal Monkey and Eric Nilla. 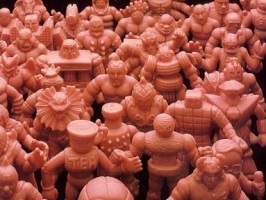 Art 300 focuses on mini-figures that M.U.S.C.L.E. figures directly and indirectly influenced. This post focuses on Universe of Violence – Boss Figure #2: Elephunt by Jimmy Rommel (Ironhaus Productions) and Eric Nilla.